Asthma is one of America’s most perplexing public health problems. It is a ubiquitous and costly disease of society, as well as individuals. 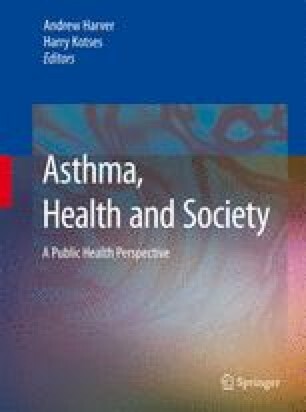 This chapter examines asthma in the larger context of public health by discussing different but related aspects of disease management and control. We will consider the way the characteristics of the society affect the extent and severity of the disease, and how asthma affects important public health indicators of well-being. We will review examples of interventions, some that have focused on clinical settings and some that have ventured into the community to relieve the burden of asthma more broadly. We will suggest how these efforts can be directed to generate a wider change. We will discuss ways to modify the impact of the condition through policy. Finally, we will consider the problems in our current approaches to asthma control and suggest alternative directions.